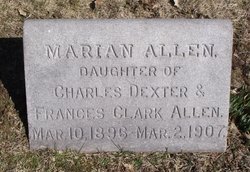 [S2548] Find A Grave: Cedar Hill Cemetery, Hartford, Connecticut, Marian Allen, created by C Greer, date added Apr 2011, Memorial number 67797471. [S2210] 1900 US Federal Census, Hartford, Hartford County, Connecticut, digital image Ancestry.com ; National Archives micropublication, Charles D Allen head of household, roll T623_137, enumeration district 180, page 8A. [S4186] William Griffing, family tree titled "Bill Griffing", published by Ancestry.com, wc.rootsweb.ancestry.com, from database named :2787254,. 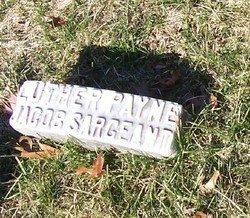 [S4190] Find A Grave: Palisado Cemetery, Windsor, Connecticut, Jacob Sargeant Pierson, created by Jerri Eoff Sudderth, added Mar 2009, memorial number 35121350. [S4178] 1860 US Federal Census, Windsor Locks, Hartford County, Connecticut, digital image Ancestry.com ; National Archives micropublication, Saml H Allen head of household, roll M653_79, page 6891. [S1503] 1880 US Federal Census, Hartford, Hartford County, Connecticut, digital image Ancestry.com ; National Archives micropublication, Samuel H Allen head of household, roll 97, enumeration district 006, page 107C. [S4161] Find A Grave: Grove Cemetery, Windsor Locks, Connecticut, Elizabeth Dorr Coffin, created by Marie Bonafonte, added Mar 2006, memorial number 13559191. [S4161] Find A Grave: Grove Cemetery, Windsor Locks, Connecticut, Dexter Drake Coffin jr, created by Marni, added May 2005, memorial number 11041730. 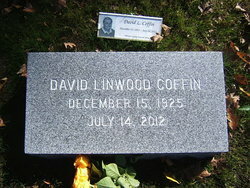 [S4161] Find A Grave: Grove Cemetery, Windsor Locks, Connecticut, David Linwood Coffin, created by brknhrt, added Jul 2012, memorial number 93724269. Dexter produces specialty materials for customers in five strategic global markets: aerospace, automotive, electronics, food packaging and medical. Founded in 1767, The Dexter Corp., a Fortune 500 company, is the oldest company listed on the New York Stock Exchange. 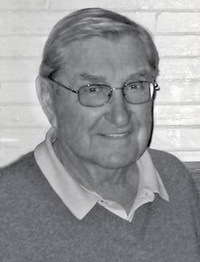 David L. Coffin of Sunapee, NH, Bloomfield, and Naples, FL, son of the late Dexter D . Coffin, Sr. and the late Elizabeth Dorr Coffin, passed away in Hartford, Saturday, (July 14, 2012). David was the retired Chairman and Chief Executive Officer of The Dexter Corporation, Windsor Locks. Born in Windsor Locks December 15, 1925, Coffin attended Trinity College (Hartford) and New England College (New Hampshire). He joined The Dexter Corporation in 1947 in the manufacturing department and was the seventh and last generation of the family to work in the business. He held various positions in sales and as general manager. In 1958, Coffin succeeded his father as president and CEO, becoming Chairman of the Board and CEO in 1966. Coffin was a member of the Dexter board of directors from 1948 until 1994. In 1975, Coffin took the title of Chairman and CEO, the position he held until 1990 at which time he retired as CEO, maintaining his position as Chairman of the Board. In 1993, Coffin retired from The Dexter Corporation as Chairman Emeritus. Coffin had served on the boards of the American Red Cross (Hartford), the Bank of New England Corporation, Blu-Ray, Inc., Colby-Sawyer College, Connecticut Health Systems Agency, the Connecticut Historical Society, Connecticut Bank and Trust Company, N.A., Connecticut Mutual Life Insurance Company, the Connecticut Trust for Historic Preservation, Connecticut Water Company, The Dexter Corporation, Granitech, Inc., Hasbro, Inc., the Horace Bushnell Memorial Hall, The Institute of Living (Hartford), Kimball Union Academy, Life Technologies, Inc., the Manufacturers Association of Hartford County, Milton Bradley Company, Mystic Seaport Museum and Stores, the National Association of Manufacturers, New England Colleges Fund, The New England Council, Northeast Utilities, The Old State House (Hartford), Trinity College (Hartford), and the United Way of Greater Hartford. Coffin was stationed in Naples, Italy while serving in the U.S. Naval Reserve in World War II and was awarded the Victory Medal, the American Theatre Medal and the European Theatre Medal. He received honorary degrees from Trinity College and Colby-Sawyer College. He is survived by his wife of 38 years, Marie Jeanne Cosnard des Closets Coffin of Sunapee, NH; daughter Deborah L. Coffin of Springfield, NH, son Robert G. Coffin of Canton; and four stepchildren: Henry Bissell of Atlanta, GA; Charles Bissell of Glastonbury; John Bissell of Marietta, GA; and Caroline d'Otreppe of Suffield. David was predeceased by his son David L. Coffin Jr. of Atlanta, and his brother Dexter D. Coffin Jr. of Hobe Sound, FL. The Funeral service will be held on Saturday, July 21, 2012 at 11 a.m. at the Congregational Church of Windsor Locks, 8 Main Street, Windsor Locks, followed by a service of Christian burial at Grove Cemetery with military honors. Arrangements are being handled by the Windsor Locks Funeral Home, 441 Spring Street, Windsor Locks, CT. There will be no calling hours. In lieu of flowers, contributions may be made to the Antique Boat Museum, 750 Mary Street, Clayton, NY 13624. To leave an online condolence, please visit: www.windsorlocksfuneralhome.com. [S4199] David Linwood Coffin, courant.com website obituary notice, 18 Jul 2012 obituary notice ,www.courant.com. [S4228] Kimball Union Academy, preparatory school web site, www.hua.org , viewed Mar 2013. [S4106] Hartford Courant , Hartford, CT, 22 Sep 2001, obituary notice, 7 Nov 1994. [S4225] Mark Alpert, Dexter's Dynasty CNN Money Fortune Magazine,online article, 28 Aug 1989, at: online money.cnn.com viewed Mar 2012. 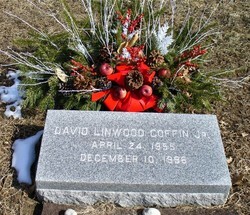 [S4161] Find A Grave: Grove Cemetery, Windsor Locks, Connecticut, David Linwood Coffin Jr, created by Marni, added May 2005, memorial number 11041608. [S4223] The New York Times, New York City, NY, birth notice on-line archive, 7 Jun 1953. [S4229] Ex-Gov. Candidate Who Shot CT Man Stays in Jail NBC Connecticut online article, 29 Apr 2009, at nbc.connecticut.com viewed Mar 2012. [S4202] 1930 US Federal Census, Windsor, Hartford County, Connecticut, digital image Ancestry.com ; National Archives micropublication, H Raymond Coffin head of household, roll 268, enumeration district 242, page 2A. [S511] Phil Dascola, family tree titled "John Root", published by Ancestry.com, wc.rootsweb.ancestry.com, from database named philsged, updated Feb 2010, viewed Mar 2013. 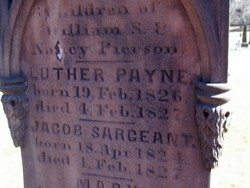 [S4207] Find A Grave: Mountain Grove Cemetery and Mausoleum, Bridgeport, Connecticut, Esther R Patterson Coffin, created by Sharon O'Hara, added Dec 2005, memorial number 12660050. [S4210] 1940 US Federal Census, Wethersfield, Hartford County, Connecticut, digital image Ancestry.com ; National Archives micropublication, Herbert Coffin head of household, roll T627_508, enumeration district 2-251, page 7A. [S4204] Find A Grave: Lawn Cemetery, Huntington, Connecticut, Barbara Jean Coffin O'Hara, created by Sharon O'Hara, added Dec 2005, memorial number 12651399. [S4206] Sharon A O'Hara, family web site titled "My Genealogy Home Page", Family Tree Maker, http://familytreemaker.genealogy.com/users/o/h/a/…, updated 2005-2009, viewed Mar 2013. [S511] Phil Dascola, family tree titled "John Root", published by Ancestry.com, wc.rootsweb.ancestry.com, from database named philsged, updated Feb 2010, viewed Mar 2013 , date=Feb 1927 - not true. 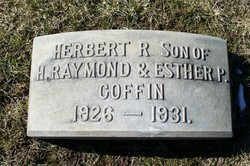 [S4161] Find A Grave: Grove Cemetery, Windsor Locks, Connecticut, Herbert R Coffin, created by Marie B, added Mar 2006, memorial number 13593838. [S4204] Find A Grave: Lawn Cemetery, Huntington, Connecticut, Henry Joseph O'Hara, created by Sharon O'Hara, added Dec 2005, memorial number 12651335.